Allison and Foster are two talented musicians who fell in love after meeting at an all-you-can-eat shrimp night. They spent the entire evening talking and playing music together into the wee hours. Right away, they both knew that there was something special about their connection. They talked about marriage for a couple of years, but as broke students, it just wasn’t in the budget. After Foster graduated and landed a permanent job, they started talking about it more seriously. They’d spend hours looking for the perfect ring online. Foster ordered one, but when it arrived, it wasn’t quite right. Together they went to the jewelry store to pick out a ring together. When they left the store, Foster told her she’d have to be patient as she wouldn’t be seeing the ring again for a while. Turns out he wasn’t the only impatient one – five minutes later, he pulled over on the side of the road and asked her to be his wife! Allison and Foster both described the other as having “the best sense of humor.” Foster’s smile starts off quietly, with a twinkle in his eye and a slow grin spreading across his face. All it takes is a whisper in her ear, and Allison is quick to follow with her infectious giggle, collapsing them both into laughter. It’s not hard to see that they love to bring this out in each other. 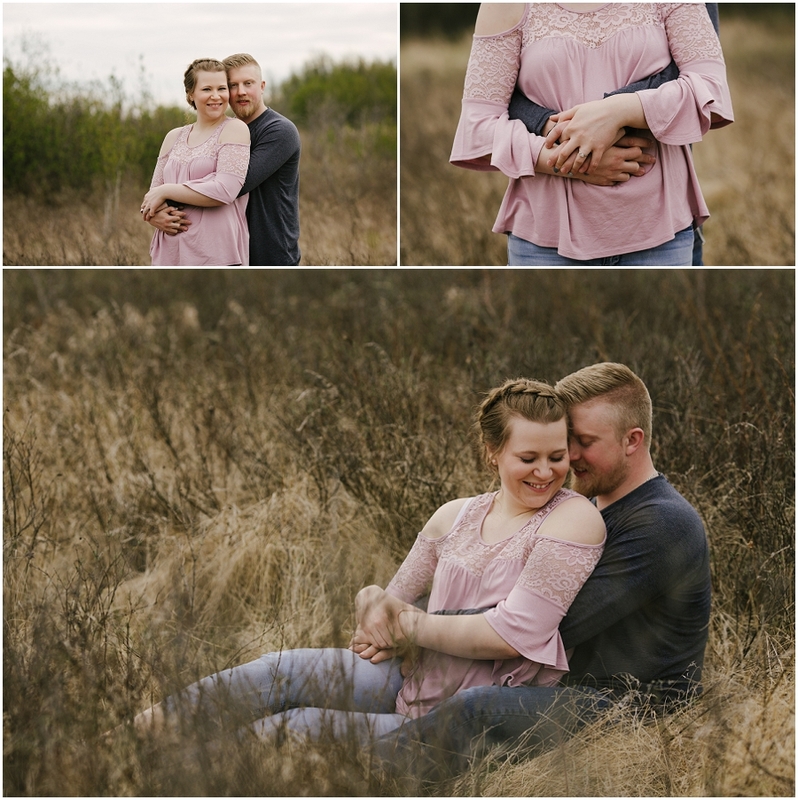 We met up at Cranberry Flats in early May for their Saskatoon engagement photos. 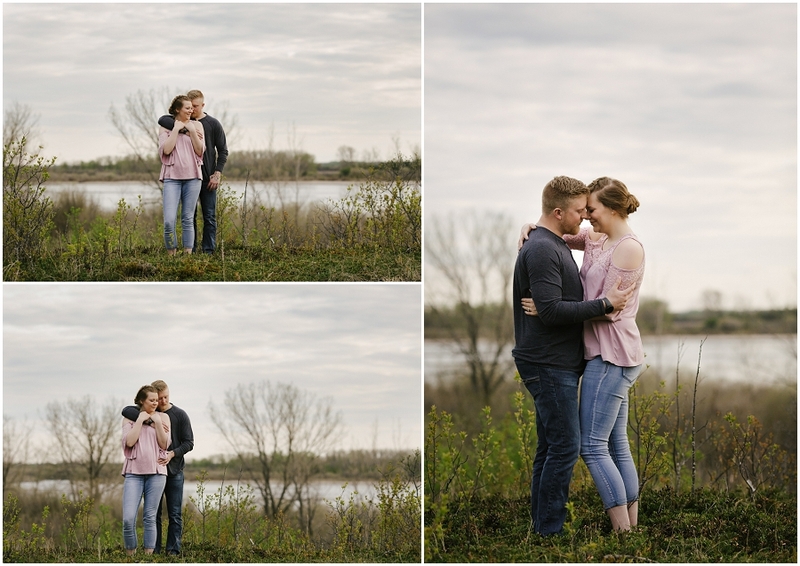 The leaves were just beginning to turn green, and the warm spring evening was fresh with promise for the next step in this sweet couple’s journey together. Their Par Place wedding in August is undoubtedly going to be just as beautiful. Here are some of our favourites from our time together. 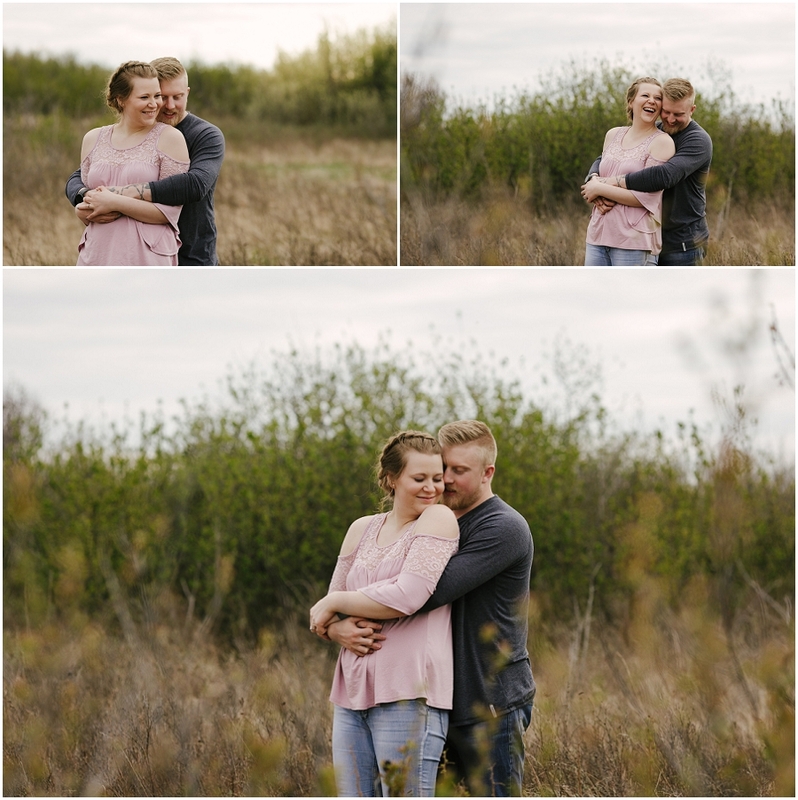 Copperblue Photography & Design is a Saskatoon engagement and wedding photographer. Specializing in rural weddings and lake weddings, travelling to Prince Albert, Candle Lake, Waskesiu and beyond. 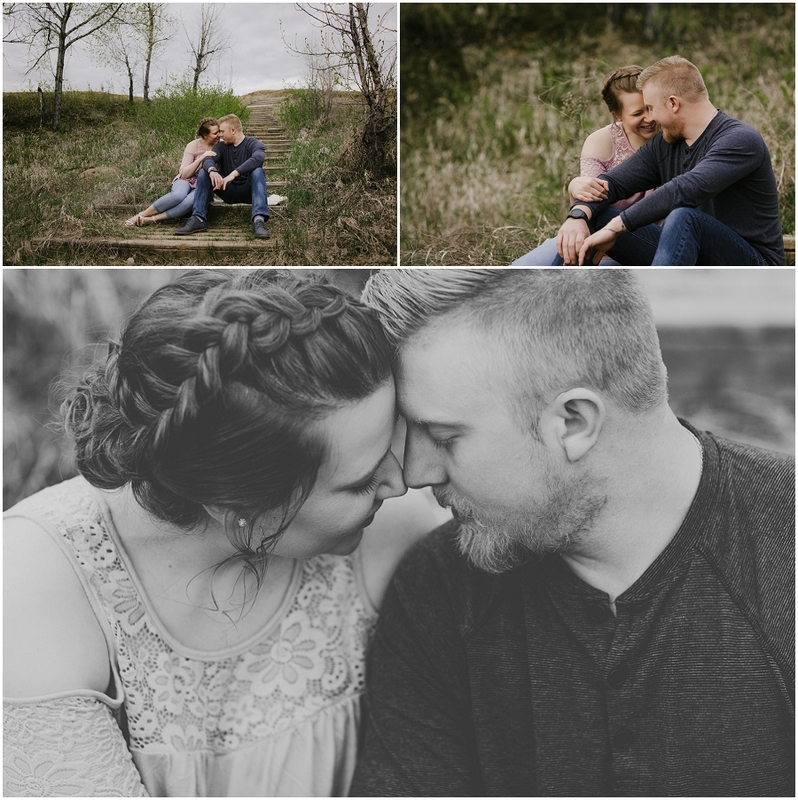 Probably one of my favorite engagement sessions I’ve seen from you! Thank you Mandi! I really enjoyed shooting it! Such a great couple! Beautiful. I love this entire session. Thank you Lindsay :) I love shooting at Cranberry Flats! Oh these are so sweet. That wide shot with the sky is to die for! Thank you so much Carissa! The sky was definitely working in our favor! 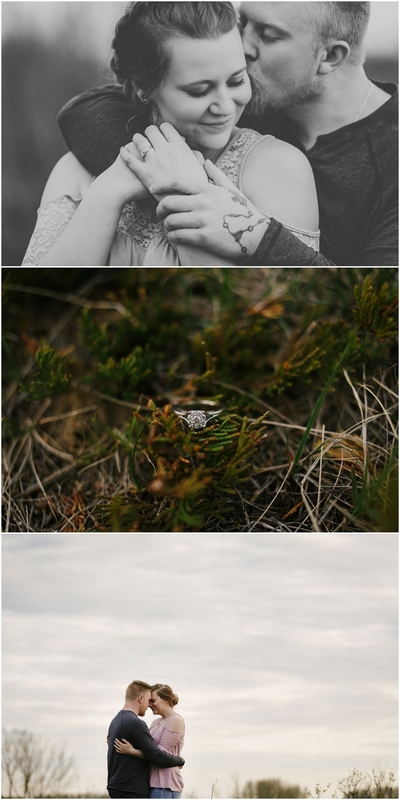 I’m sincerely GUSHING over these engagement portraits! These two are just the cutest! And somehow you manage to create so much variety with so little to work with! I dread late fall and spring sessions when the trees are bare, but holy cow girl you rock every season as if it was full blown summer! These are epic pictures and I love every single gallery! Thank you Tammie! I actually prefer those times of year to summer – I love the muted colors and stronger textures, plus the sun drops so much earlier and nothing beats golden hour! Thank you so much for your kind words! 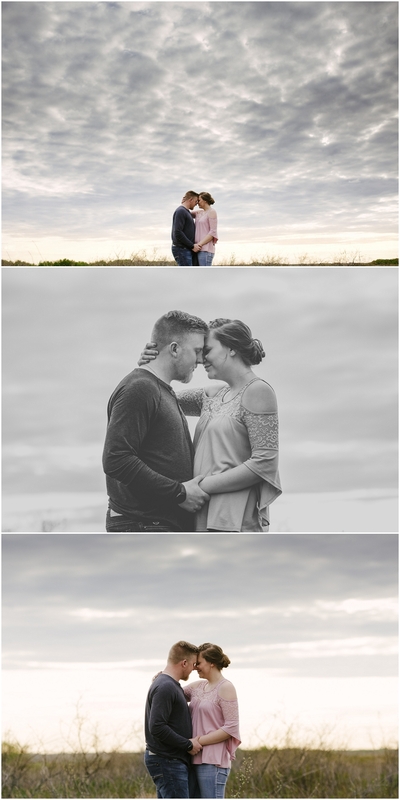 such a beautiful series of photos showcasing their love!